Guest post by Yael Davidowitz-Neu, a Sales Strategy Analyst at Google responsible for analyzing consumer behavior, search trends and market dynamics. She is deeply curious, loves all things marketing and blogs less frequently than she would like at Stickystimuli.com. While many businesses are excited about opportunities to reach their customers on the social web, few actually believe they have done so successfully. According to a recent Social Media and Online PR Report from Econsultancy, 86% of companies surveyed planned to spend more on social media marketing in 2010, but only 25% say they have gained “real, tangible value” from the medium. While the willingness to invest indicates that businesses recognize the potential to develop deeper connections with their consumers in the social sphere, many are still uncertain as to how to best join the conversation. To improve performance, firms may benefit from looking at the medium through a broader lens, recognizing that expanding their influence by enabling customers to connect with one another may be as effective, if not more so, than interacting with them directly. While it’s true that the web has made building individual relationships cheaper and easier than it used to be, this doesn’t mean that businesses can necessarily expect to build deep connections with their entire customer base; in many cases, this is neither feasible nor cost effective. However, if a firm focuses on building brand loyalty with a small subset of customers, they may find that it has an exponential impact. Yelp’s Elite Squad: Yelp operates a social networking, user review, and local search website for members to post reviews and get user feedback on local businesses and restaurants. The Elite Program is a way for the Yelp to reward its most passionate users for making their site “funny, useful and cool” by providing them with exclusive offers and members only events. This allows Yelp to strengthen loyalty among Elite Squad members, offers an impetus for wanna-be-members to post additional reviews; and, makes the site content stronger – keeping the broader community active and engaged. The Leukemia & Lymphoma Society’s Team In Training (TNT) Program: The Leukemia & Lymphoma Society is a charitable organization focused on fighting blood cancers. To raise funding, they developed a variety of programs to expand their outreach, including The Team in Training Program, which offers group training to those interesting in running a marathon to raise money for the cause. TNT encourages trainees to leverage the power of their personal networks, by providing participants with a personal, customizable microsite for reaching their fundraising goals by getting donations from friends and family. 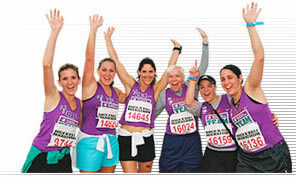 The microsite functions much like a Facebook Page – marathon participants can share their goals, visitors are able offer supportive messaging on the participant’s wall, and donations can happen directly on site. Lion Brand’s Lion Brand Notebook: Lion Brand is a yarn company that has been in business for over a century. To build their online presence and appeal to passionate knitters, Lion Brand developed a bi-weekly podcast and corporate blog, They also helped to facilitate offline “knit-alongs” (shared knitting projects), by helping interested parties to find others in their local area looking to get involved. Lion Brand Yarn found that their customer outreach strategy drove impressive e-commerce results – those who visited the company’s blog were 41% more likely to buy at the Web site. You may have noticed that these three companies have very different business models: the first seeks a passionate and active user base, the second is looking to increase in donations and the third wishes to stimulate sales volume. Yet, despite the variance in their goals, they still share a number of similarities in their approach to the social web. Inspires Their Most Passionate Customers – Then Puts Them to Work: By building strong connections with the most passionate segment of their customer base, firms such as Yelp, Lion Brand and the Leukemia and Lymphoma Society can create strong individual connections that can lead to exponential results – ideally, as customers spread the word through their personal networks, they inspire additional customers, who, in turn, pass the message along and begin a powerful ripple effect. Does More Than Test the Social Waters: Like all long term relationships, building real connections with customers requires a certain level of commitment, and each of the three businesses above are clearly willing make the investment. Similarly, the Social Media and Online PR Report indicates that there may be a baseline level of social media involvement necessary for a generating tangible return: more than half (52%) of firms that were ‘heavily involved’ with the medium believed they had gained tangible results from their marketing efforts, while, in comparison, only 13% of those “experimenting” believed they had gained real value from the channel. Avoids Getting Mired in Tactics, Metrics or Technology: The successful firms above recognize that social media should be used as a tool for achieving business goals. Recognizing that a social strategy is a means, rather than an end, they don’t waste time counting their Facebook fans, instead, the focus is on creating social communities that delivers a value add to their users, allows them to connect with one another, and, ultimately, increases brand engagement. Blurs the Lines Between Online and Offline: Understanding that the customer exists both online and offline, these firms are finding intelligent ways to deliver an experience that incorpates the best of both worlds. The Leukemia and Lymphoma Society’s Team in Training helps participants to solicit donations from offline connections online, Yelp rewards Elite members with exclusive access to offline events and The Lion Brand’s Brand Notebook allows community members to connect with others in their neighborhood to participate in “knit-alongs”. Do you know of other companies that are leveraging their customers to grow their businesses exponentially? Please let me know by commenting below!